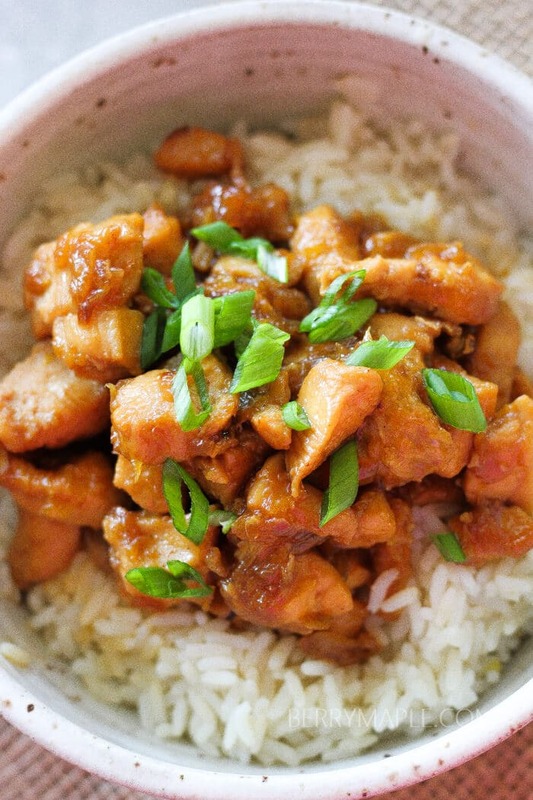 Sticky, sweet, tasty caramelized orange chicken that is so full of citrus flavor! Try it today! and everything was a hit! Not only here, at Berry&Maple, but at my house too. My toddlers were running around kitchen, waiting for their delicious lunch. I even packed leftovers for my daughter preschool, and i know she will enjoy it without even warming up. I love to use chicken breast in this recipe, but thighs will work well to. Oranges are locally grown, from California. I know its not easy to find local produce, especially in winter time, when farmers markets are closed till spring! Heat olive oil in a skillet. Add onions to the skillet and stir, cook for about 3 minutes until very fragrant. Add mushrooms and chicken and cook on medium heat for 5 minutes, stirring, until browned on all sides. Switch heat to medium-low. Add orange juice, orange pieces, brown sugar and soy sauce. stir and cook for about10-15 minutes until sauce thickened. Yum! This seems like an awesome recipe for a family gathering, Tatiana. This is going to be our new favourite family dish! What kind of onion do you use? Love this! Totally going to have to make this recipe 🙂 Perfect for a delicious weeknight dinner! Orange chicken has always been one of my favorites. This looks like a much healthier version!! Orange with chicken is such a simple combination – and so good! That looks delicious, and I’m sure your kids love it! Here in New York City, a few of our farmer’s markets do stay open all year. A few years ago that meant apples and more apples… but in the last few years they’ve been growing and selling more root and other storage crops. Great to be able to get rutabaga and kohlrabi all winter (and of course, apples…) Still not the same as fresh out of the fields, though. Yummy! i’ve been looking for some new easy dinner meals and ran into this one! Looks amazing! My husband will love it! Wonderful recipe of my favorite chicken! Orange chicken has been my daughter’s fav! I love the color on this chicken dish. I must be honest I have never made orange and chicken combination yet. Think I’ll try soon. Thanks, looks like a great recipe. What a delicious looking chicken recipe! Orange chicken is one of my favorites! I live in Southern California, so we have Farmer’s Markets all year long. The size shrinks during the winter months, but they’re always open. I love that I can get fresh, seasonal produce all year long. I often think about people who live on the East Coast who don’t have the same opportunities. This recipe looks delicious, and it also sounds much healthier than the stuff we buy at the Chinese fast food places. 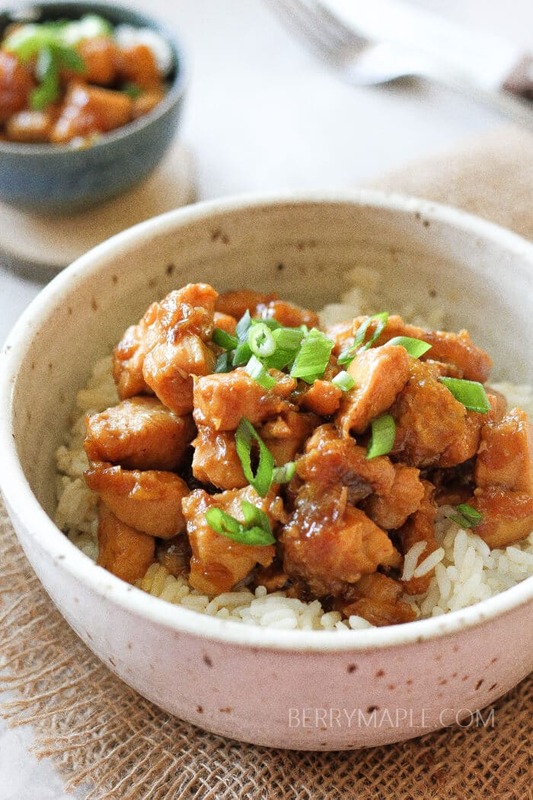 My family loves orange chicken and I love that this recipe is quick and easy! Pinned for a future weeknight dinner! YUM! 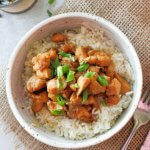 This looks like a healthier version of my favorite orange chicken! I like that it isn’t fried but is still really flavorful!